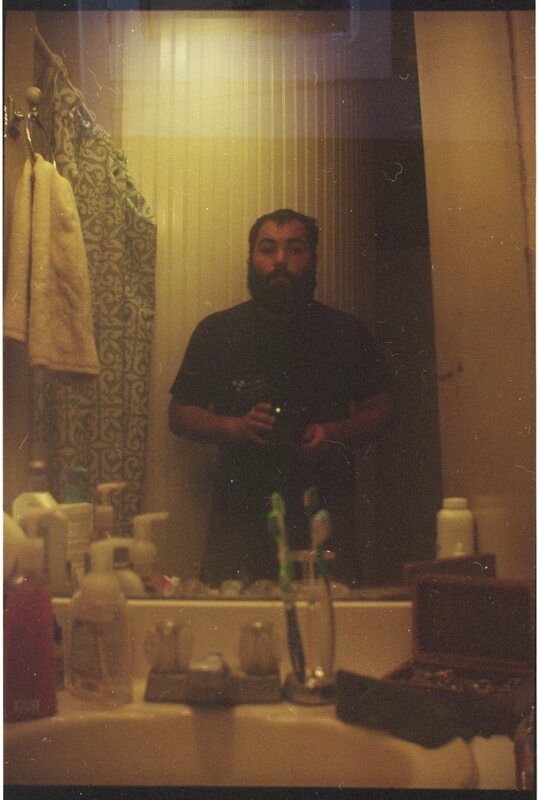 Poems Published Online at Prime Number Magazine & 2014 Big Poetry Giveaway Winners Announced | MARK JAY BREWIN, JR.
Well, much is happening in my Poetry-filled world. 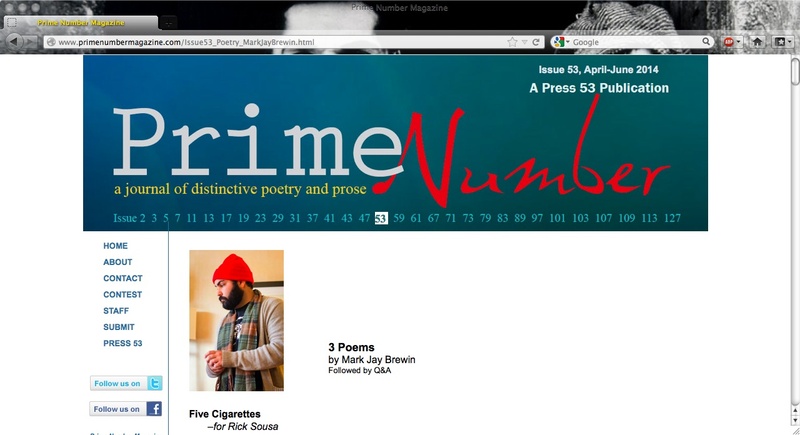 I am happy to announce that three poems of mine, as well as an interview with the editors, is up at Prime Number Magazine alongside some fine fiction work from the talented Katie Darby Mullins. Really cool stuff. Please check it! I am also pretty stoked to announce the winners of my 2014 Big Poetry Giveaway! The winner of Ghost Gear is Priyanci Srivastava. The winner of About the Dead is Lissa Clouser. The winner of Scrap Iron is Renee Emerson. I’ll be emailing all of you in the next few minutes, and will get your books in the mail to you by the end of the week! Hope you all are ready to get your hands on some stellar writing. Congratulations! Can’t wait for next April to do it all over again!